Swallow Dental Supplies Ltd was established in October 1998 and has seen a lot of change since then. Originally run single handed by Dr Paul Harrison, and selling just the Fortoss range of Bone Augmentation products that he helped to develop, Swallow has now grown to employ 18 members of staff. Our product range is ever expanding with high quality products to suit your surgical and hygiene needs. We are the leading industry experts in Bone Augmentation materials, surgical instruments, drapes and consumables, and offer a wide range of Q-Optics loupes and lights. Our hygiene range of course includes the innovative PDT range, with unbeatable long life stainless steel tips. Our Blue®M range of oral care products are developed to prevent and treat oral problems such as periodontitis and peri-implantitis. By delivering active oxygen straight to the wound, healing is facilitated. We love working with innovative companies who they listen to their customers and endeavour to make their working lives easier. Everything that Swallow offers fits in with our company ethos to supply only high quality products at reasonable prices, supported by un-rivalled customer service and product knowledge. Paul has worked in the field of biomaterials development since the 1980's. As well as running Swallow, he also lectures on the subject of biomaterials on an international basis. In his free time (of which there seems to be very little) he enjoys running, hopping and skipping when he isn't spending time sailing, polishing his new motorbike (Norton Commando 961se – wow) or taking apart his vintage motorbike (a 1974 Norton Commando 850MkIIA). Debbie joined us part-time in 2003 when a dedicated person was needed for our stock control. Today her role has progressed to looking after Human Resources, Regulatory Affairs and managing the PDT agency in Europe. When Debbie isn't busy keeping the house of Swallow in order, she enjoys painting and gardening. James and his lovely Excel Surgical customers joined us in 2011. Excel has now merged with Swallow Dental with James is a Director. James is helping to drive the business forward with his expert knowledge of loupes and lights. His friendly face is often found supporting surgical courses up and down the country. In his spare time James enjoys home-making with his better half Laura and little lad Sam and daughter Jess, and being repeatedly disappointed by his beloved Leeds United. Vicki has worked with Swallow since 1999. Vicki looks after our Digital Marketing and is a member of our Customer Support team. 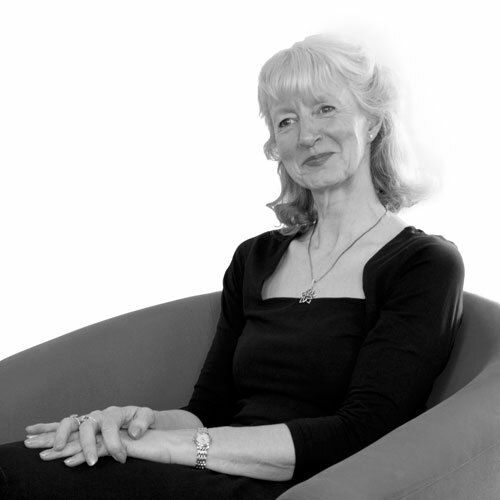 Vicki is our in-house PDT expert, as well as organising and attending our exhibitions. In her time out side work Vicki is kept busy looking after her family. Any time left over she spends running, cycling and cooking. Though not at the same time as that can get messy. Andrew joined Swallow Dental Supplies in 2007. He is currently our stock controller and also makes sure all our parcels go out of the door looking as wonderful as possible. During his time off he enjoys spending time with his son, going mountain biking around Yorkshire, playing video games and watching films. Helen joined us in 2013 and is a vital member of the finance team, looking after purchase ledgers. When she is away from her desk, Helen likes travelling, real ales, long walks, and can challenge anyone on their Harry Potter knowledge - Harry Potter Geeks Represent! 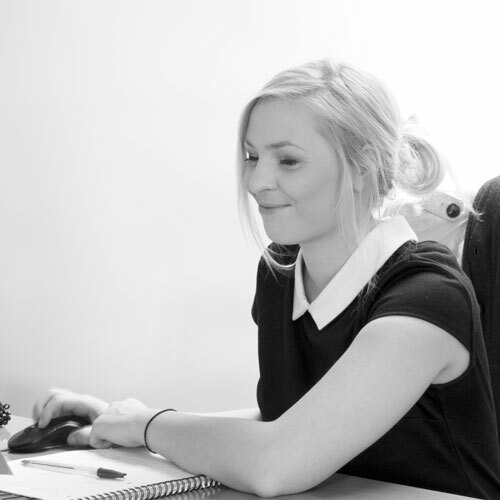 Lauren joined us in October 2013, initially to support the Sales & Marketing Team. Lauren is a key member of our Digital Marketing and Customer Support team and is also our Bluem expert, and will happily chat about this great product to any of our customers. Out of the office Lauren enjoys hitting the gym so that she can eat more puddings with her husband Stephen and is an expert sheep rescuer. Lauren now has a baby boy, Zach, has been on maternity leave since August 2018 and we all miss her bubbly energy in the office. Emma joined the team in July 2015 as our Customer Relations expert. She is kept busy answering queries both on the phone, via email and our website, and is our Equipment Specialist. In her free time Emma enjoys participating in amateur dramatic productions, zumba, and spending time with her lovely fiance Rick, and is a welcome addition to the Swallow team. Joe joined us in May 2017 as our new Q-Optics expert. We have kept him busy travelling the length and breadth of the country meeting all of our lovely new Q-Optics customers, as well as attending many an exhibition and meeting. Joe is also a key member of the Customer Support team. When we let him go home, Joe enjoys spending time with his other half Charlotte and their much-loved Pomeranian fluff-ball Chewie, as well as socialising with their family and friends. Paul is a key member of our Warehouse team. Joining us in May 2017, his cheerful persona and sense of humour are a welcome addition to the team. Paul has taken on the role of Stock Control Auditing and Supplier Liaison. Outside of work, Paul enjoys keeping fit, walking up big Yorkshire hills, and scuba diving. He also looks after his huge snake and enjoys fine wines. Lorraine has been in the dental industry for over 13 years. She joined Swallow Dental in May 2017 and is currently covering South of the UK focusing on Q-Optics Loupes, Ethoss and PDT. In her spare time, which is very little, is Mum to a 10 year old and homemaker, whose hobbies include eating, drinking and sleeping. Ian joined our Warehouse team in January 2018 to allow Andrew and Paul F time to breathe. They are a busy team after all, ensuring your parcels go out correctly and as quickly as possible. In his spare time, Ian enjoys playing his guitar, rocking out at a gig, supporting his beloved Bradford City, and keeping fit & healthy. Sian joined us in March 2018. She quickly proved her worth in our Design & Marketing and Customer Support teams, adding a creative flair to our digital marketing. Out of work, Sian enjoys online gaming, playing with her cats, and spending time with her boyfriend Chris, as well as expressing her creative side drawing. Gabrielle joined us in August 2018 as Lauren went on to maternity leave. She impressed everyone quickly and is a vital part of our Customer Support team. Out of work she likes to stare at pictures of Beyoncé. Annie In September 2018 Annie joined Swallow and quickly found her feet managing the Finance team. Mostly working with the directors to keep us in the black, you're not likely to come across Annie at shows or on the phone but she knows how to work a spreadsheet. In her free time Annie enjoys going to gigs and travelling. Daniel - After Joe complained that he didn't have enough hours in the day to keep up with loupes queries, we employed Dan to ease his pain in Novemeber 2018. He is always happy to help anyone out with any loupes queries and is one of our front line Customer Support team. Out of hours he likes spending time with his kids and going to gigs. Adam joined the Finance team in November 2018. He mostly looks after making sure everyone pays their bills on time (especially the staff with their Blue®M orders!). When he's not charging us interest on our toothpaste he enjoys spending time with his fiancée and watching his beloved Bradford City lose every week. We are all here to help. Call us on 01535 656312 if you need anything. Even if you can't find the product on our website, chances are we will be able to source it for you. Be the first to find out about new product releases and special offers.